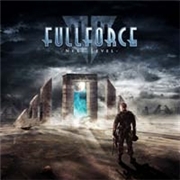 FULLFORCE entered the scene in 2009 as a vehicle for vocalist Mike Andersson (CLOUDSCAPE), guitarists Stefan Elmgren (ex. HAMMERFALL) and C.J. Grimmark (ex. NARNIA), bassist Tommy Larsson, (ex. HEED) and well-travelled drummer Anders Johansson (ex. YNGWIE J. MALMSTEEN, HAMMERFALL). Their debut “One” was unleashed in 2010. Now CJ has left and is replaced by Stefan Rosqvist, has that caused any changes? Opener “Broken Dreams” has a whiff of CLOVEN HOOF´s riff to “Laying Down the Law”. The ensuing melody is alright and there is force…if not quite full. The craftsmanship of the guitar pattern in “Break It, Crack It, Destroy It” is tangible, but the song never really fulfils its potential, in spite of a fine refrain. The nearly hit fill force in “Karma” and “Whispers”, especially the latter. Somewhat lighter “Whispers” sports a fab refrain with a rather stubborn repetitiveness, but it is not annoying in any way. The second half of the album is on the next level compared to the first part, apart from “Whispers”. Apart from the rather weak “Hate...Love... Drop It!” and the rather pedestrian “Mysterious Ways” the average second part song has echoes of DIO as well as FATES WARNING, a fine mix in my book. The old school feeling is better emphasized and FULLFORCE seems to have a penchant for ballads, as both “Smile at the World” and, especially, Strangest Thing of All” are sensitive but not whimpy. The voice of Mike and the melodies in general are the main points to this album, but the feeling that there is more to be unleashed is omnipresent.